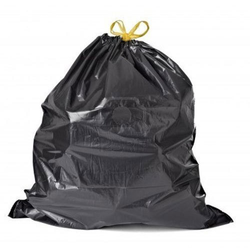 Providing you the best range of garbage bags and trash bags with effective & timely delivery. 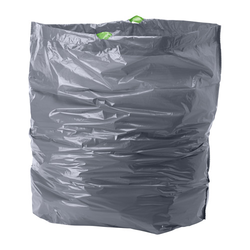 We offer to drawstring Garbage Bags in different colors and sizes manufacture from virgin or recyclable plastic. Available with us is a vast assortment of Trash Bags, which are used to store waste of homes, industries, hospitals etc. Quality being the success mantra for us, we manufacture polyethylene trash bags and polyethylene garbage bags using well-selected materials. We offer these bags in a myriad of colors, designs, and sizes to opt for. We also render the client's customization facility at most competitive pricing.